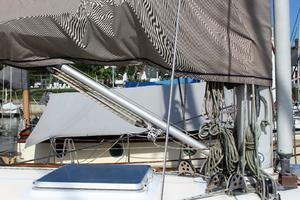 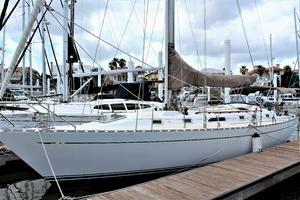 The Tatoosh 42 was designed by the legendary Robert Perry and built by the highly-regarded Ta Shing yard in Taiwan. Like most Perry cruising designs, she sports an encapsulated modified fin keel with a skeg-hung rudder, she’s a splendid offshore passage maker with a sea-kindly motion, has plenty of structural bulkheads for strength and stiffness and a luxurious interior that is both comfortable and practical. 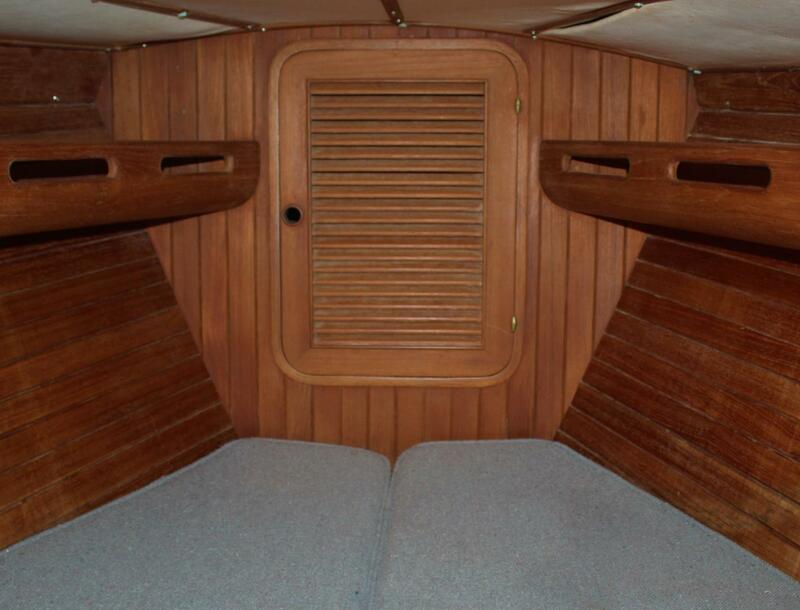 A lot of effort was put in to the design of the interior—plenty of room to easily move around and yet no wide-open spaces to get thrown around when offshore. 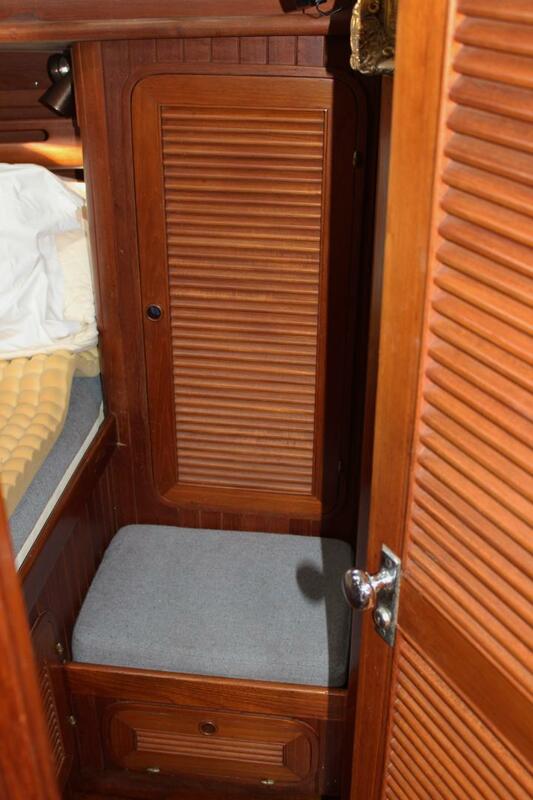 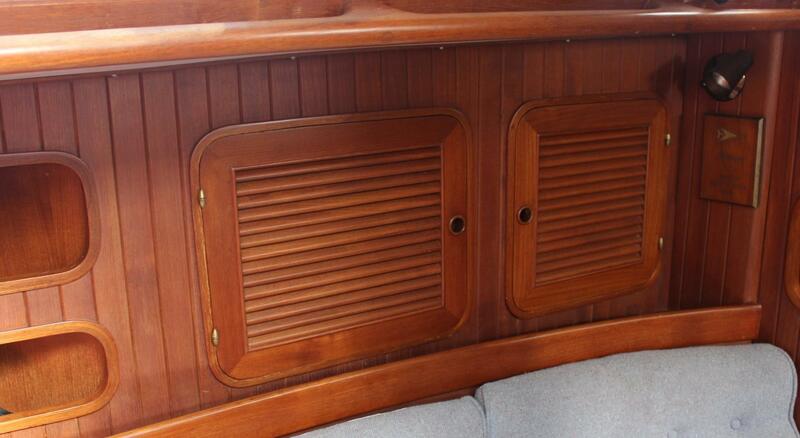 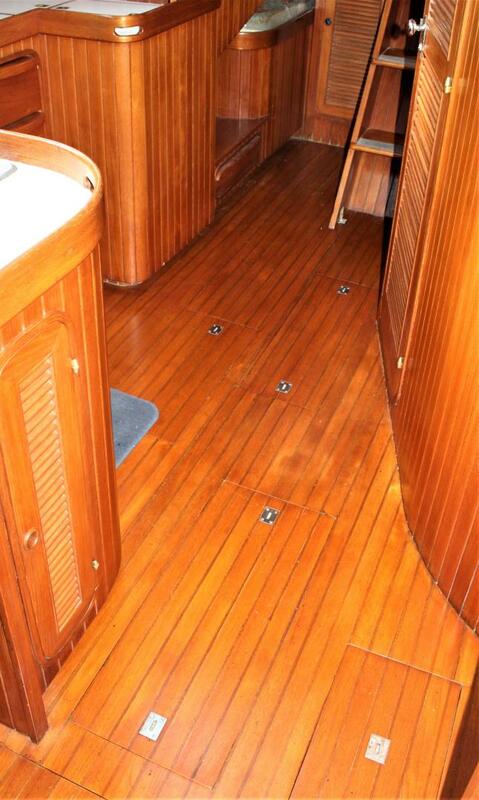 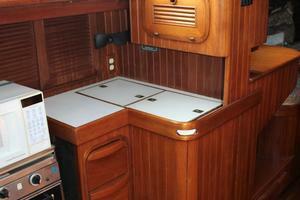 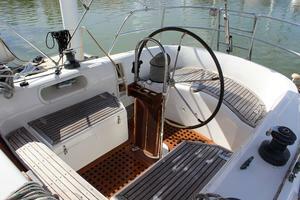 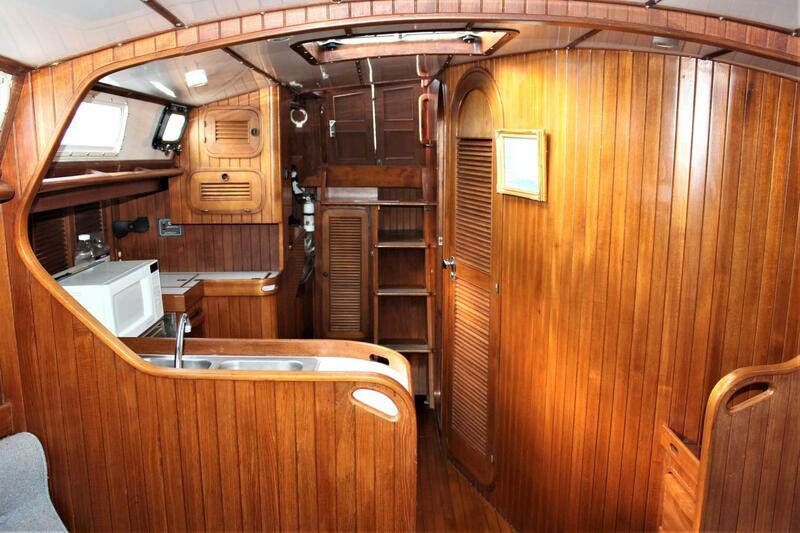 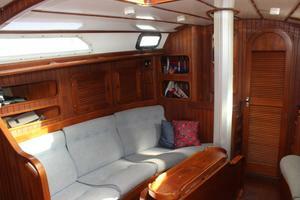 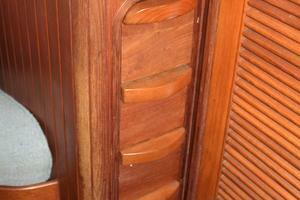 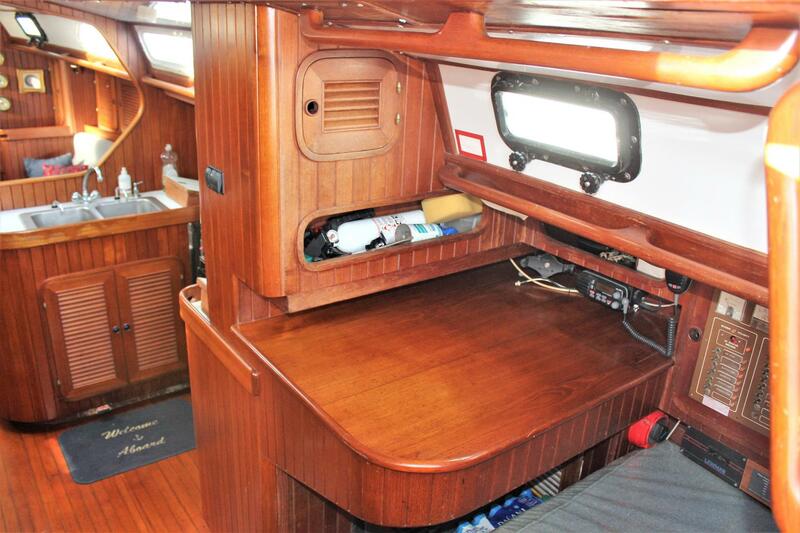 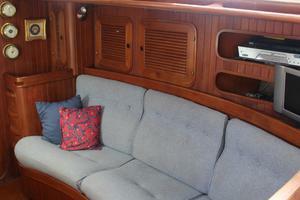 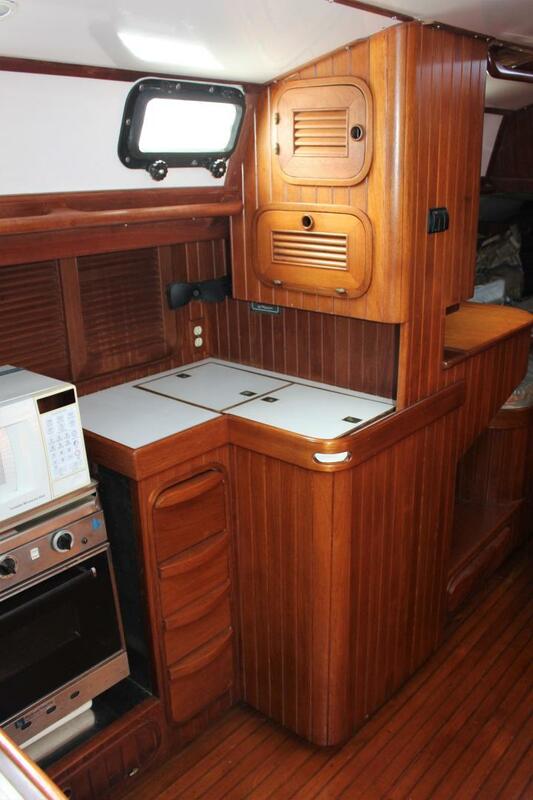 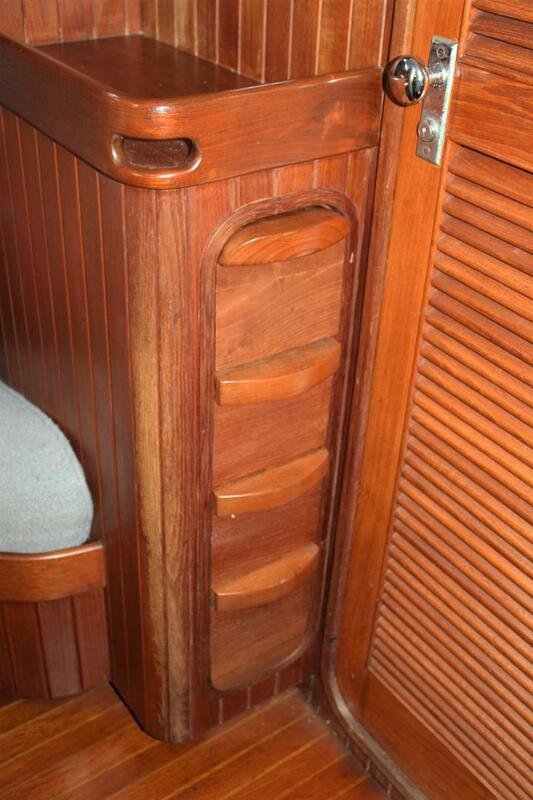 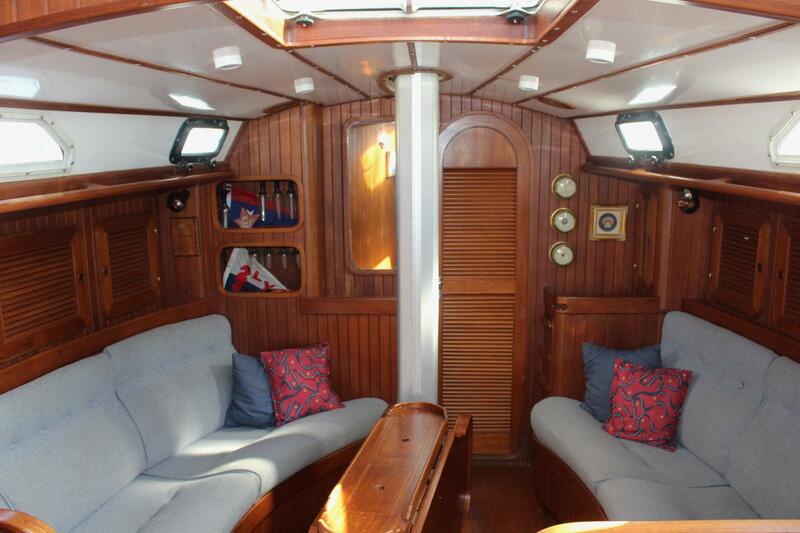 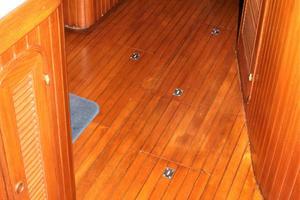 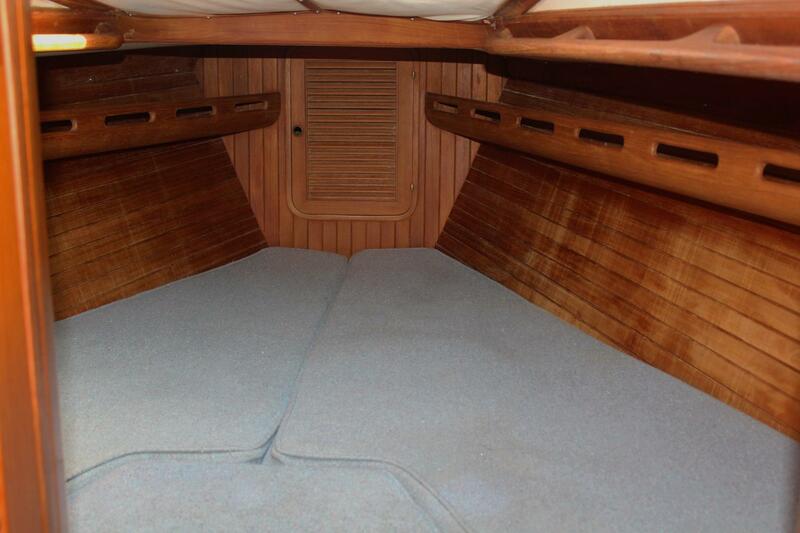 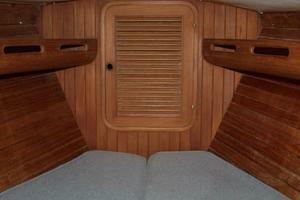 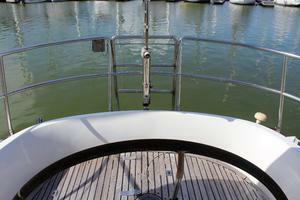 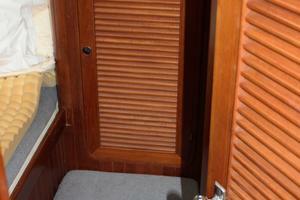 The teak joinery on the interior is superb and there are plenty of well-placed hand-holds throughout. 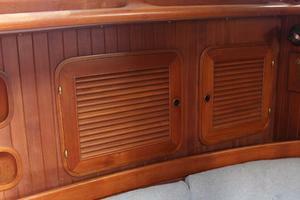 Interior edges and corners are rounded to reduce the likely hood of “boat bites”. 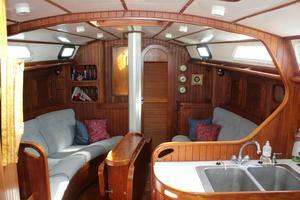 Mystique is truly a special yacht. 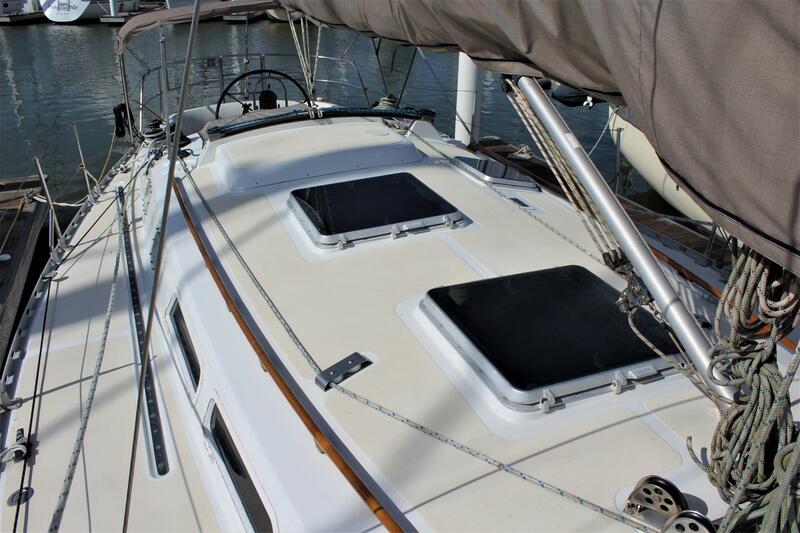 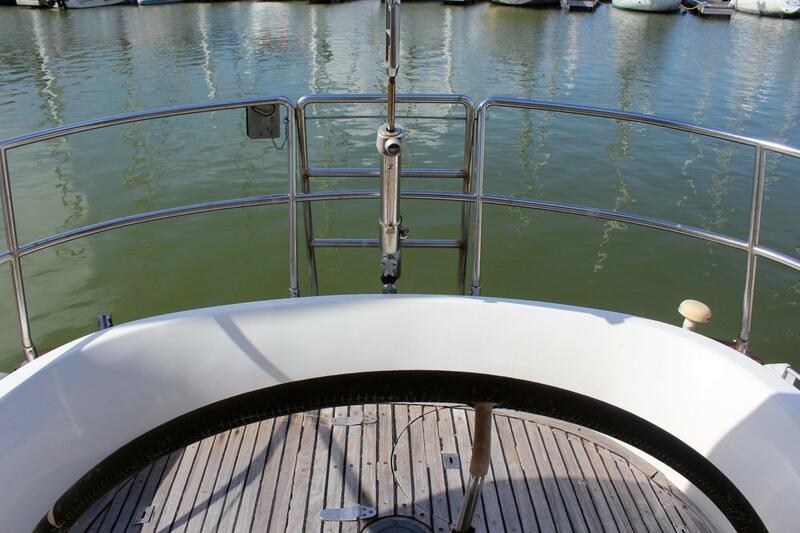 Her owners did a major refit in 2007 and in 2010, including a new aluminum toe rail, removal of the teak decks, painting the entire vessel and much more. 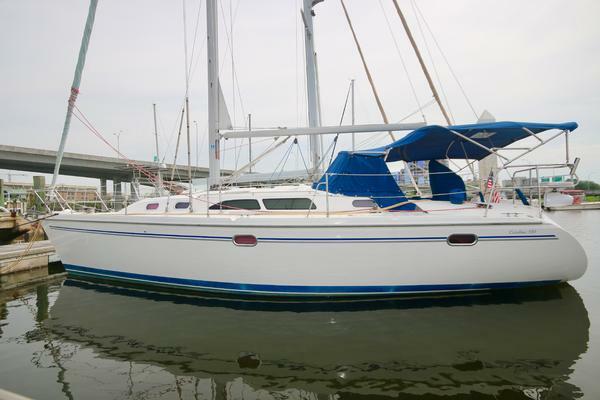 Be sure and contact the listing broker today to set up a time to see Mystique. 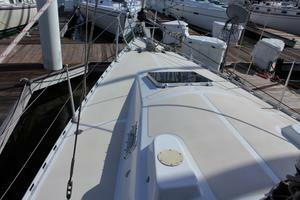 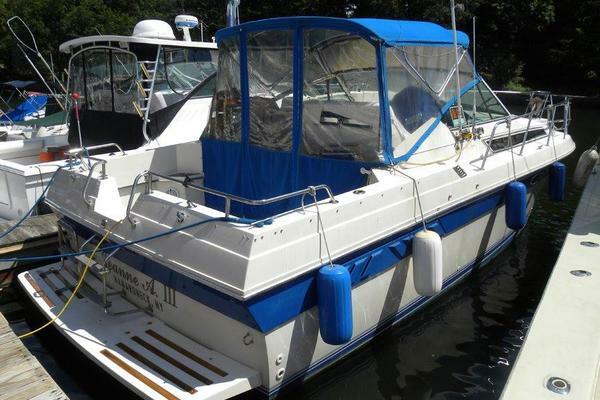 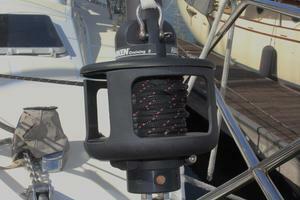 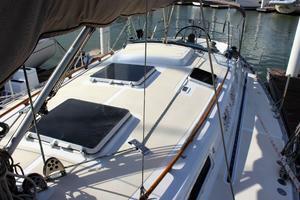 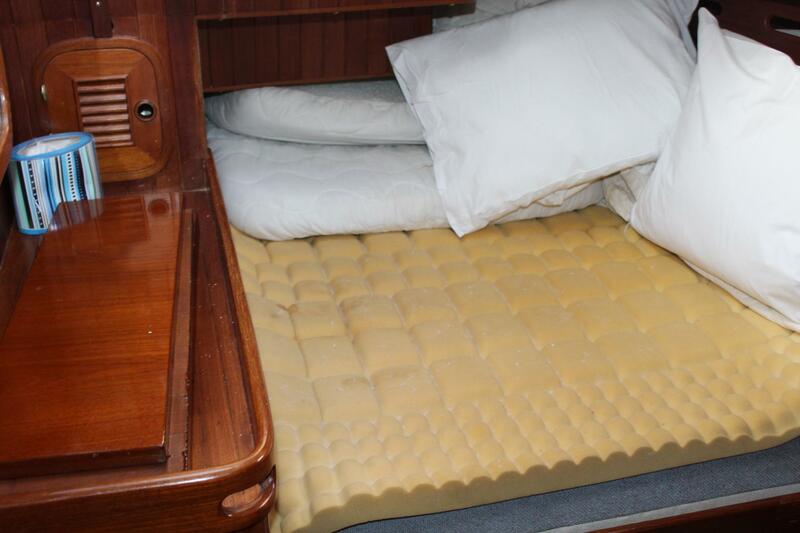 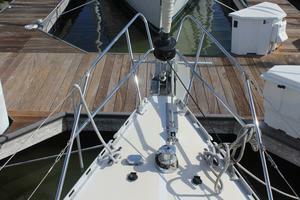 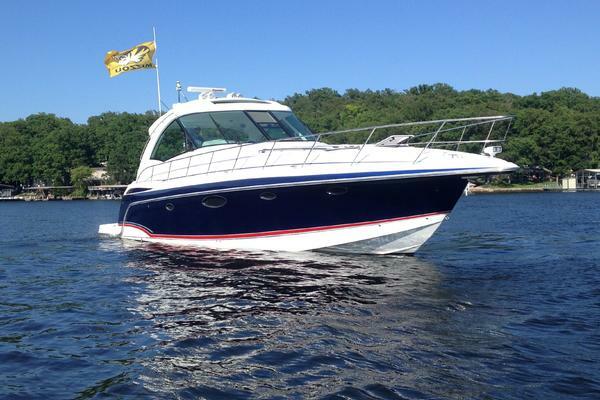 Pathfinder 50 rebuilt by Lakewood Yacht Services. 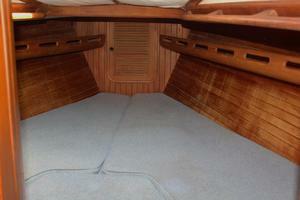 Fewer than 1,000 hours. 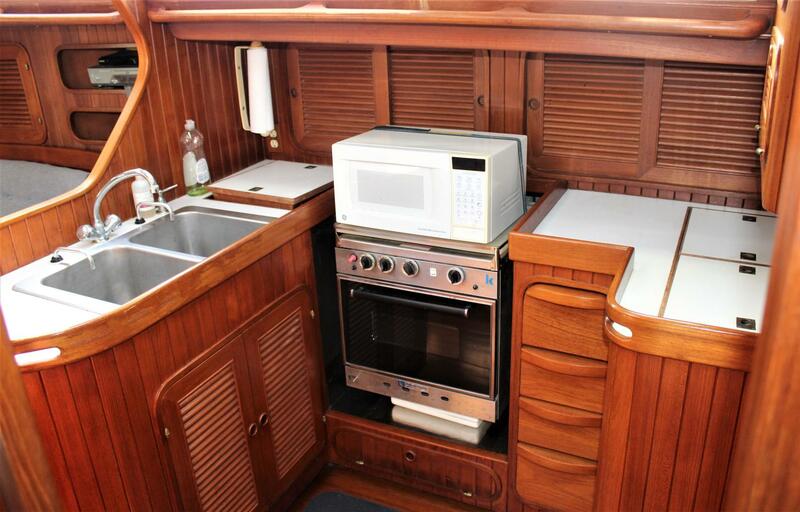 The Galley is within easy reach of the cockpit. 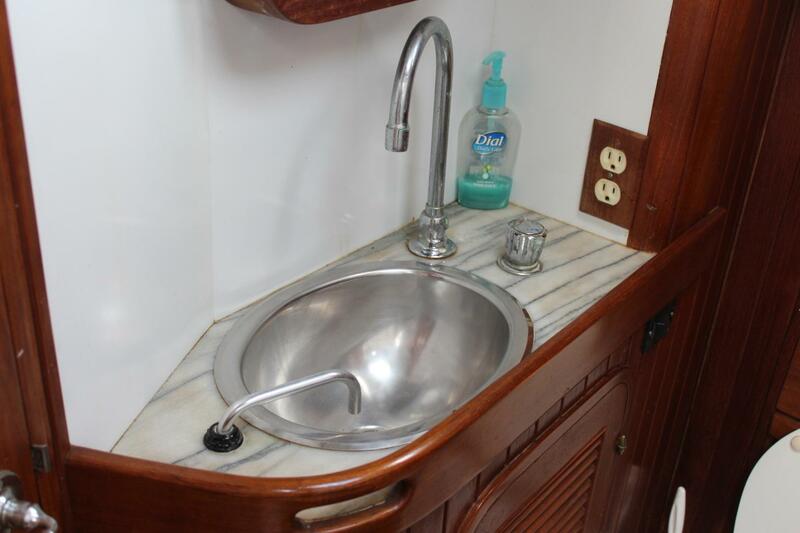 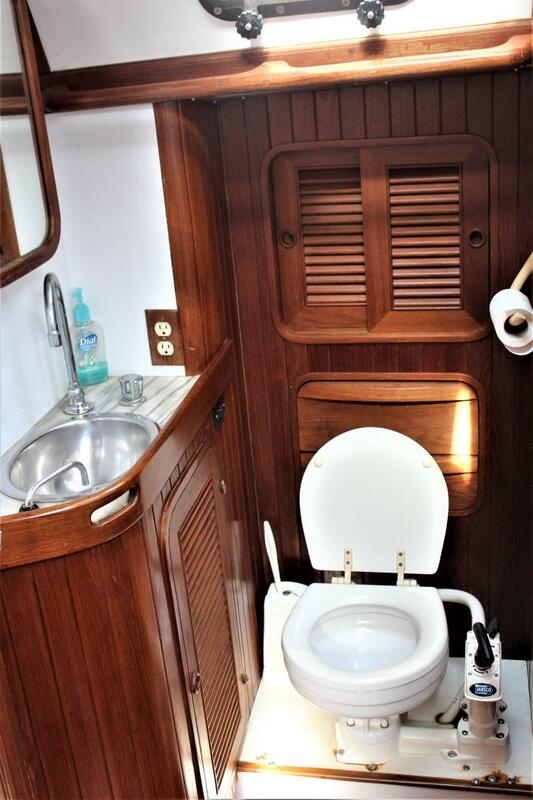 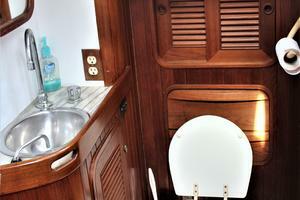 Mystique features, well executed teak joinery throughout, air conditioning with digital controls, comfortable seating, two private cabins plus one quarter berth, two heads, forward facing nav station with easy access to cockpit and tons of storage. 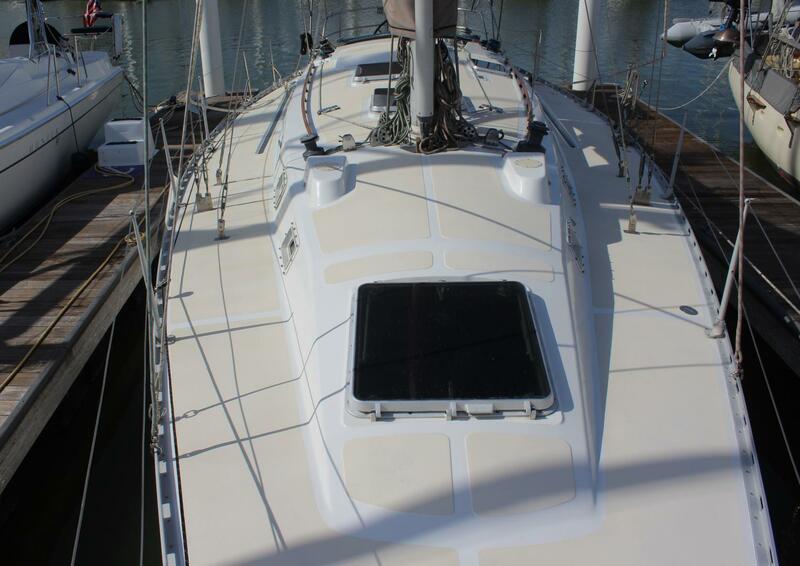 Note: In December 2010 an unexpected Norther blew in while Mystique was on a transient dock. 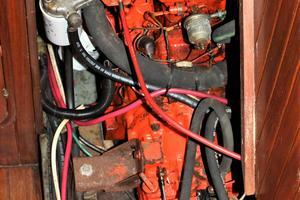 This caused cosmetic damage to her starboard side. 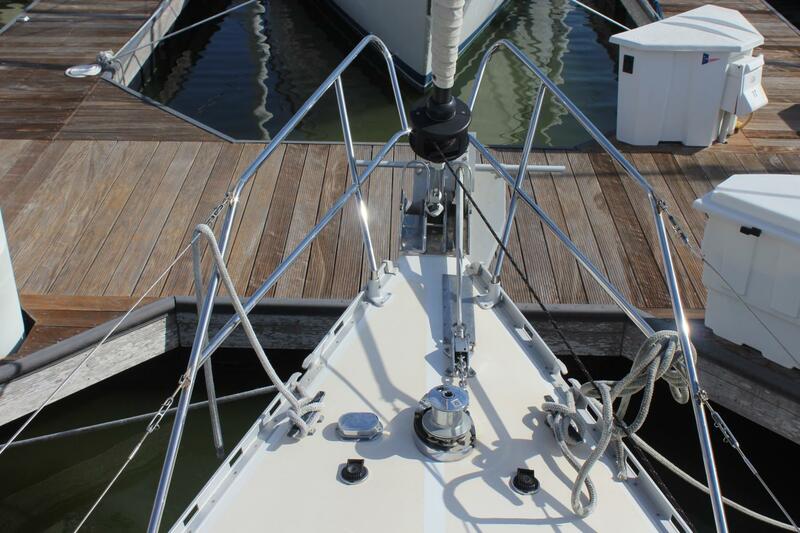 The Starboard topside was then repainted and a new aluminum toe rail and a new bow pulpit was installed by Gulf Coast Composite.